Ben Kaseff, DMD proudly offers patients in Hamilton, Clermont, and Warren Counties comprehensive dental care for the entire family. Starting from children aged two and up, Dr. Ben Kaseff helps patients achieve ideal oral health many thought unimaginable. With over 17 years of caring for patient, Dr. Kaseff is experienced in creating beautiful smiles. As a family dentist, Dr. Kaseff provides compassionate care. Since starting his practice in 2003, he has provided a range of services, including entire mouth reconstruction plans to completely restore patients’ smiles. Our practice ensures each patient receives dental treatments to maintain their comprehensive oral health, instead of focusing on just individual teeth. Patients suffering from pain, soreness, or headaches due to malocclusion can also see Dr. Ben Kaseff for a complete evaluation and diagnosis. In his career, Dr. Ben has accrued years of experience in children’s dentistry. 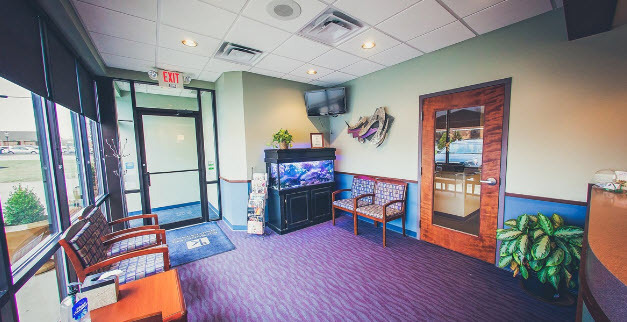 Our doctor and team educate patients on proper methods of maintaining good dental hygiene, as well as prepare them for a future of beautiful teeth. Dr. Kaseff makes sure all patients, children and adults, understand what they need to do for optimal oral health. As a member of several dental associations, Dr. Kaseff prides himself on his thorough approach to dentistry. His continual pursuit towards dental education lead him to receive the “Top Area Dentist” award in 2010, 2011, and 2012 by Cincinnati Magazine. Learn More about Comprehensive Dentistry. Contact Our Office! Dental hygiene is important to overall health. To learn more about maintaining good oral health, or to schedule a consultation with Dr. Ben Kaseff, visit our dental office in Loveland or give us a call today!